Let us show you what makes Hocking College a distinctive educational experience. Come visit campus and immerse yourself one-on-one in one of our 50+ programs. Students can speak to other students who have made the choice of a Hocking education, as well as faculty. We offer several campus visit options including Hocking Showcase, a program designed for prospective first-year students to tour and experience campus. We also offer individual and group tours that gives students a brief overview of all the degrees offered here at Hocking. To apply to Hocking College, please visit our application portal. For questions about an application or an admissions-related question, email admissions@hocking.edu. Hocking Showcase is a program designed for prospective first-year students. This event is the perfect opportunity to get an in-depth look at Hocking College. Please call 740-753-7050 to make a reservations or click the yellow button below. Want to RSVP for Hocking Showcase? Save yourself a seat by making a reservation today. How long is Hocking Showcase? Check-in opens at 9:30 a.m. with the event taking place from 10 a.m. to 1:30 p.m. Check-in will be held in the Student Center. Submitting an RSVP is strongly encouraged as it helps ensure your meal for lunch; however, it is not required. Will I be able to take a tour of the dorms? Yes. At the end of the program, students who are interested in living on campus can opt-in to taking a tour of the dorms. Yes, the Bookstore will be open during all Hocking Showcase events. Is lunch provided during this event? Where can I park on campus during my visit? Visitors are permitted to park in designated visitor parking areas Monday through Friday from 7 a.m. to 5:30 p.m.
After 5:30 p.m. and before 7 a.m., visitors may park in any available student and/or staff parking areas. A parking map of the main campus can be downloaded below. Who should I contact if I have questions or need additional help? Please contact Enrollment Navigation Manager, Jessica Smith, by email at smithj25817@hocking.edu. Your visit to campus will consist of a 45-minute group informational session led by one of our Admissions professional, along with a walking tour led by a current student or an Admissions staff member. Call the Admissions Office at 740.753.7050 or email admissions@hocking.edu to schedule a visit and/or tour. Where is Hocking College located? 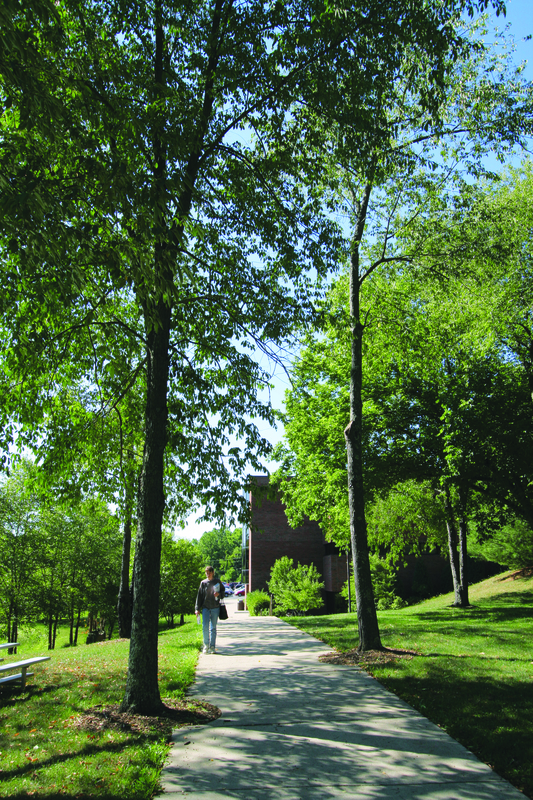 The Hocking College main campus is located in Nelsonville, Ohio which is about 60 miles southeast of Columbus, OH. We also have campuses located in Logan, OH and Perry County. A map of Hocking College's main campus can be downloaded here. Do you have visitor parking? Yes. Visitors are permitted to park in designated visitor parking areas Monday through Friday from 7 a.m. to 5:30 p.m.
Where can I find a parking map? A parking map of the main campus can be found here.